This David Hunt Lighting Bailey double wall light in antique cream finish is traditional, classic, timeless and handmade in Britain from steel and cast resin. 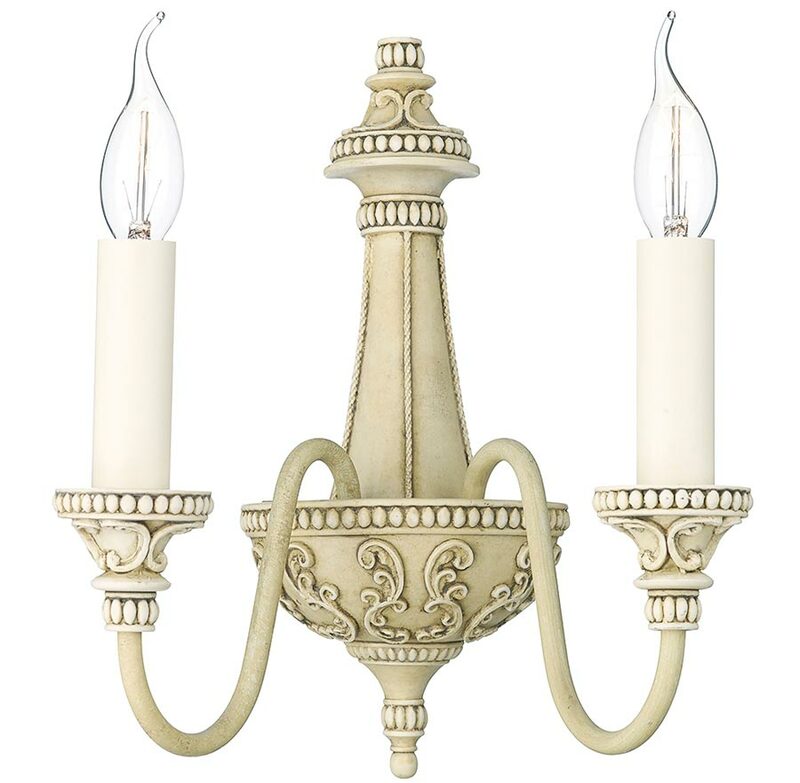 A beautiful Flemish style twin wall light featuring a detailed mount with intricate embossed detail. Two double curved arms are fitted with candle style lights and feature intricate embossed candle drips and antique cream candle tubes. This is a classic wall light that is suitable for a variety of styles and the soft antique cream will blend with many colour schemes. Best suited to a living room, hallway, bedroom or dining room wall. This wall bracket is not fitted with a separate switch. This classic light is designed and made in Britain by David Hunt Lighting who are well known for the design and manufacture of original hand crafted products such as the Bailey double wall light in antique cream finish you see here.